Ongoing defense budget markups in House Armed Services Committee would micromanage UCLASS development, reports Defense Industry Daily. Triton drone makes first flight in California on its way to flight tests slated for Pax later this year, says Aviation Week. 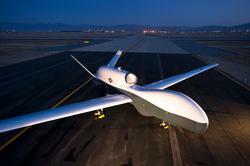 International paper on drones rejects link to terrorist recruitment, reports Defence Talk. National Geospatial-Intelligence Agency helps responders in wake of Oklahoma tornado, reports CNN Security Clearance. Congress won’t allocate for BRAC, reports The Hill. Returning veterans are starting new businesses according to the U.S. Small Business Administration, reports Time. VA continues moving through claim backlog, reports Next Gov. Details of the Super Hornet surface as ‘the Rhino’ prepares for its autumn appearance at the Navy Atlantic range, reports Flight Global. Sequestration opening way for more cocaine to reach U.S. reports Breaking Defense. Sexual assault workers exempt from furloughs, reports GovExec. NSA official says simple cyber security methods are not enough, reports Breaking Defense. Navy and Coast Guard reserves increase activated reservists this week, reports Defense Gov. But fewer reservists needed in FY13, reports Inside Defense. Northrop Grumman Systems Corp., Aerospace Systems, Bethpage, N.Y., awarded a $15,295,717 modification to a previously awarded cost-plus-award-fee contract (N00019-08-C-0023) in support of the systems development and demonstration of the MQ-4C Triton Unmanned Aircraft System. This modification provides for a software upgrade from Windows XP to Windows 7. Work will be performed in Hollywood, Md. (33.5 percent); Bethpage, N.Y., (25.8 percent); Rancho Bernardo, Calif. (15.6 percent); San Diego, Calif. (12.7 percent); Salt Lake City, Utah (9.8 percent); Stillwater, Okla. (1.10 percent); Melbourne, Fla. (1.0 percent) and Van Nuys, Calif. (.05 percent), and is expected to be completed in April 2014. No funds will be obligated at time of award. Contract funds will not expire at the end of the current fiscal year. 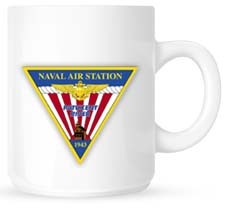 The Naval Air Systems Command, Patuxent River, Md. is the contracting activity.